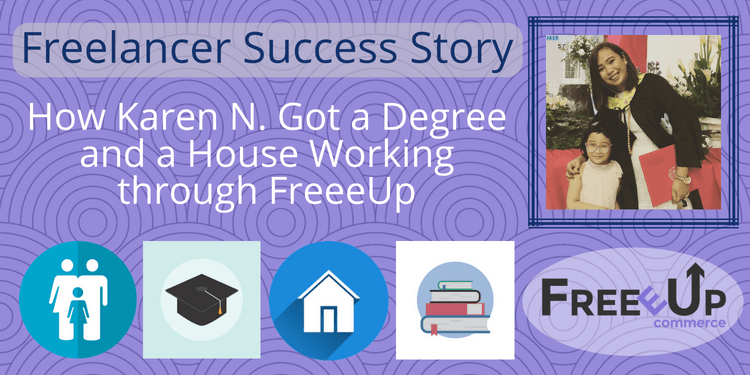 I had the opportunity this week to speak with Karen, a freelancer working through FreeeUp. Karen is a single mother from Naga City, Camarines Sur, in the Philippines with a truly inspiring freelancing success story. She been in the freelance industry for 6 years total doing Amazon Customer service (review and feedback management, order fulfillment and refunds) and Shopify management (order fulfillment, refunds, customer service, listing images). 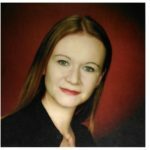 She also works as a FreeeUp Freelancer Success Assistant, looking for top freelancers, screening applications, and onboarding new freelancers to the FreeeUp marketplace. Karen has achieved amazing things in the 18 months that she has been working through FreeeUp. Here’s how she tells it. I started as a freelancer way back in 2012. I gave birth to my daughter that year while I was working as a team manager at a BPO company. I was not comfortable having to work at night and always leaving her in my mom’s care. In the mornings, as much as I wanted to spend time with her, I was too exhausted and needed to sleep. It was a struggle having the need to work and provide for her as a single mother and at the same time wanting to take care of her since she was just a baby. A friend who started as a freelancer earlier than I did offered me work. The salary was not that good, but I went for it just because I would be able to work at home. We lost that client after a year, and it was again a struggle in terms of finding a new client. Luckily, I was able to land another Shopify managerial role where I was the first VA hired. I guess I handled it well, because as more VAs were hired, the client asked me to refer people and I became the lead VA. At that time I knew that a digital career was my passion and that I excelled in the field. I started working through FreeeUp in December of 2016. I can clearly recall that we had just been hit by typhoon Nina. There was a total regional blackout, so I went to a hotel lobby to finish my onboarding. I stayed in that hotel lobby every night for five days until the new hire orientation just to have access to power and internet. I remember Nate offered me a Shopify VA request when I finished the orientation, but I declined it. I was thinking that if pursued it, I might not be able to give it my best since we didn’t have power or internet yet. Daniel Bedrijo, an agent working under me at my former BPO company, referred me to the marketplace. He said it was a great network to be in. He told me good things about FreeeUp. I was encouraged to join because it would be the first time that I would be in a marketplace and have great access to clients. True enough, when I look back, FreeeUp is the best thing that happened in my freelancing life. I started with one client for two hours a day, five 5 days a week. I remember that there weren’t that many requests for freelancers at that time, especially for CS and general VA roles. FreeeUp was only in its first year as a hiring marketplace exclusively, after all. I told myself to just be patient, take care of this client and soon I would be able to get more. After three months, I got another client and also applied to be a FreeeUp Freelance Success Assistant. I didn’t have much of a background in recruitment, but I conducted interviews and screening when I was a BPO team leader each time we had to recruit new agents for ramp season. I did not know I was gonna get the HR role. I wanted it so bad, though, because it would add to my hours as well as allow me to interact with more people. Luckily, I was hired, and I am still one of the FreeeUp internal assistants. My very first client is also still with me until this day. She is always telling me that she is happy with my work. She even gave me a rate increase in December 2017. At FreeeUp, I feel very much valued and appreciated for my hard work. My freelancing career has grown in the span of just one year. Never in my wildest dreams did I imagine I could achieve the things that I have I that short time. This has been the best thing that ever happened in my six-year digital career. However, it was not a walk in the park. Growing my career through the marketplace entails consistent hard work, excellent communication and serious skills. These three have paved my way to a successful career as a freelancer on FreeeUp. Right now, I have a total of six clients. Every time I go nostalgic, I feel blessed. My hours are full and I have stopped accepting new clients. I want to make sure I balance my time and work for all my current ones because I do not want to sacrifice one for another. I always make sure that each client is happy. Before FreeeUp, I had been working in the BPO industry for 8 years and I was not able to invest in anything. When I started to look for online work, I just prayed for one thing – that I would be able to provide for my little daughter while having the chance to look after her at the same time. My prayer was answered when I joined FreeeUp. I really feel proud of myself and thankful for FreeeUp. I am not just another single working mother. I have been attending school for the past two years to finish my degree. 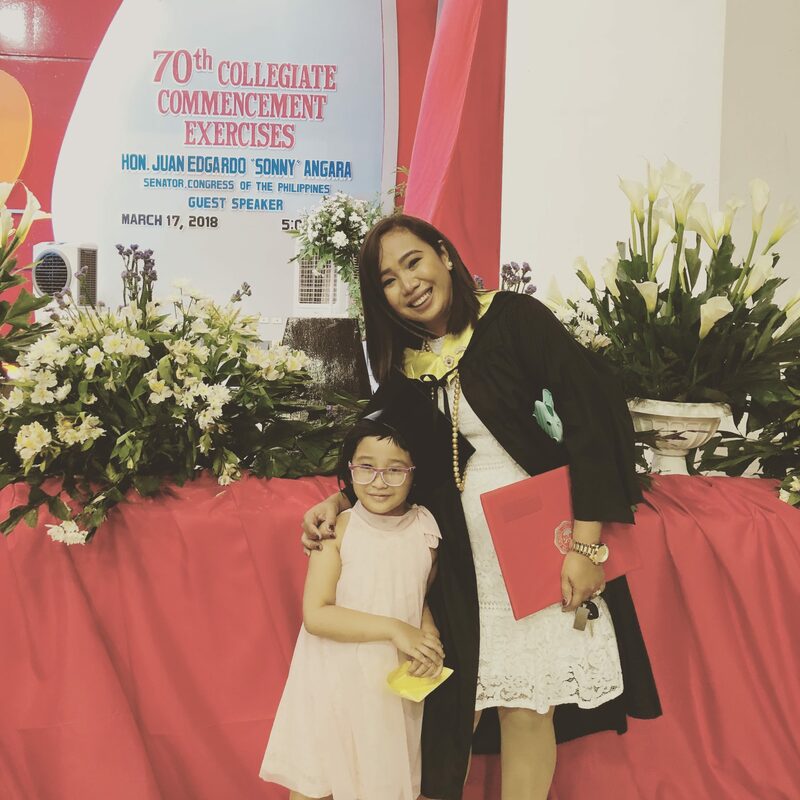 Just last March, I was able to graduate from college and get my degree in Financial Management. All of this while I was working through FreeeUp. I was also also able to get my own house through a government-run shelter financing program while working through FreeeUp. My friend Daniel who referred me sometimes says that among all of the freelancers on the FreeeUp marketplace, I am the most successful one. It certainly feels that way! 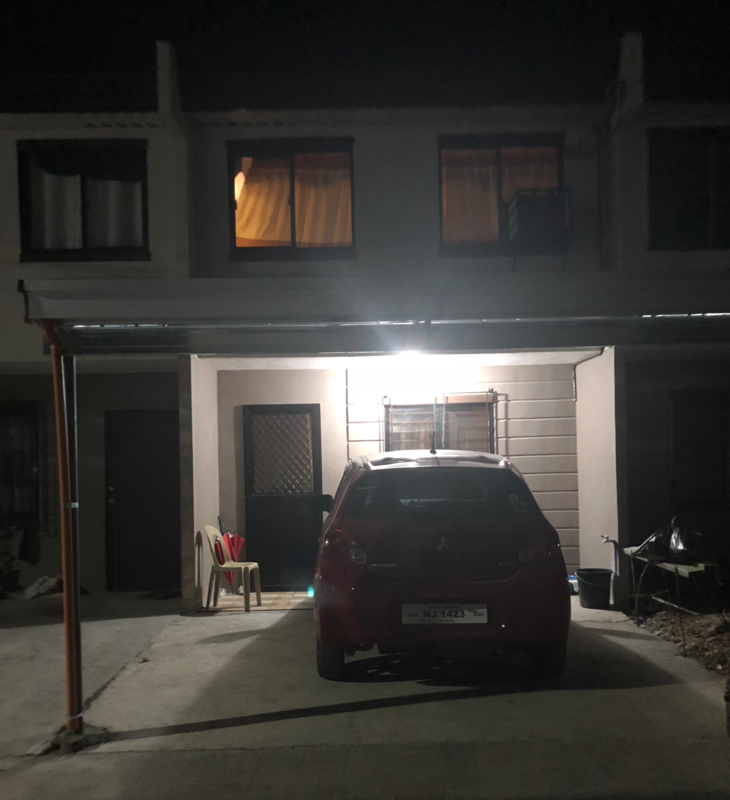 The home Karen bought while working through FreeeUp. If there is one thing I learned in my freelancing experience working through FreeeUp, it would be that hard work pays off. Hard work has led me to where I am now. It was not easy. A lot of it was sleep-is-for-the-weak kind of nights. But I never complained because I felt blessed. I am able to send my daughter to a good school now, and to look after her and be with her while I earn for our living. This is the best thing I could ever ask for. My first piece of advice for those who aspire to succeed in a digital career is to never lose hope. This career path is not something that you build overnight. You have to keep learning as you go. Never give up on finding a client, never lose hope when you lose a client. Another tip is to work hard and build good relationships with clients through awesome communication. It’s okay to say no, it’s okay to say I don’t know, and it’s okay to say I can learn about it. I needed to be honest with my clients to build lasting relationships with them. Whenever a client feels you are honest with them and you communicate well, they will be sure to trust you. And in this world where we work digitally and the physical presence of the client and the freelancer is limited, building trust is very important because it equates to respect. Hard work really pays off! Great to have platforms like this that give somebody a chance to excel and become financially independent all while building up a career in the digital world and getting a degree. Keep it up!